Playing Kissers and Killers in its entirety, songs from Bloodshot and more. Plugged in and turned on! Dove Award Winner & GRAMMY®-nominated indie rockers’ 17th studio album. The Choir continue to explore and reveal, whether crafting adventurous new sonic textures or shining a light into shadowy corners of the heart. With Bloodshot, the Nashville-based alt-rockers push at the borders of their spacefaring sound while uncovering intimate truths, compelling generations of fans to return and relate. At the album’s root is a commitment to extend mercy to loved ones in turbulent times, and to rise from disappointment with grace and integrity. Introspective, autumnal solo artist, bluesy frontman for the critically acclaimed 77s, and all-things-to-all men guitarist/vocalist for the rootsy, collaborative Lost Dogs. Regardless of the hat he is wearing, Michael Roe has, over the course of his 20 years as a national recording artist, delivered well-crafted songs and lyrics to his audience. 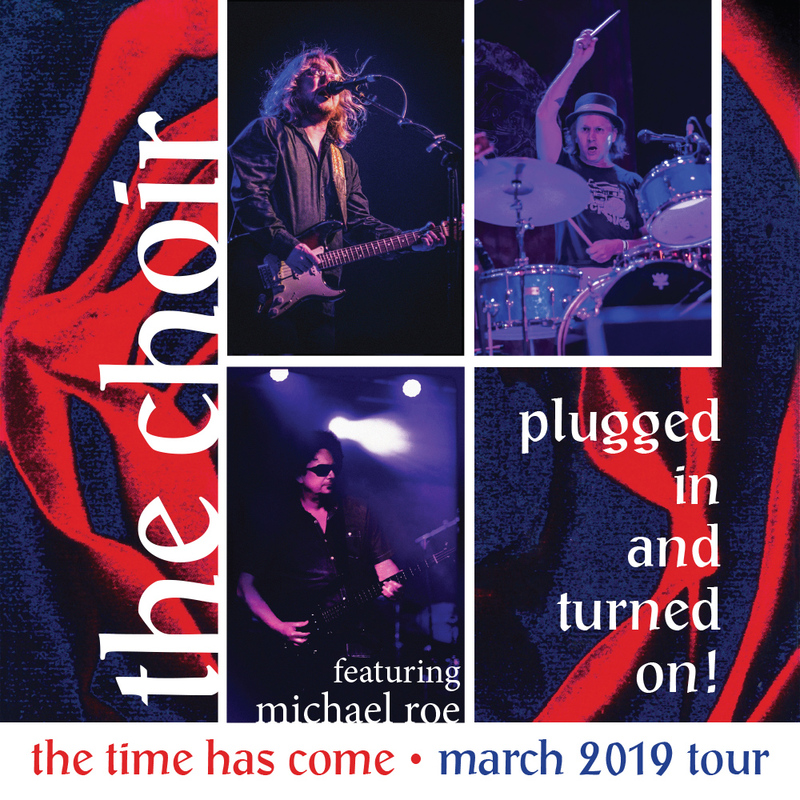 In recent years Roe has released two highly regarded solo albums, concurrently released new material by the 77s, including a live “best-of” recording, and recorded and toured with the ‘supergroup’ Lost Dogs. Roe is also a highly demanded producer and session player. He has spent considerable time discovering, producing and playing on both mainstream and Christian projects. Some of Michael’s additional works have been recorded by both general market players and Christian music’s most popular artists. Michael Roe has carved out a body of work that is broad, deep, well regarded and much acclaimed. In each of his recordings, Roe desires not only to put forth a finely crafted song but also to show himself real- writing from the experience of life’s difficulty and struggle as well as life’s joy and promise. “These songs are a forum where I dialogue with myself and with God. A lot of these are prayers, some of them are promises I’m making to myself, some of them are just wishful thinking. Oftentimes my songs tell on me, they indict me, they provoke me, they convict me.” Roe adds, “We’re only here for a short time, in this veil of tears…I hope my songs help people in general to realize what we have been given and how much is available to us.